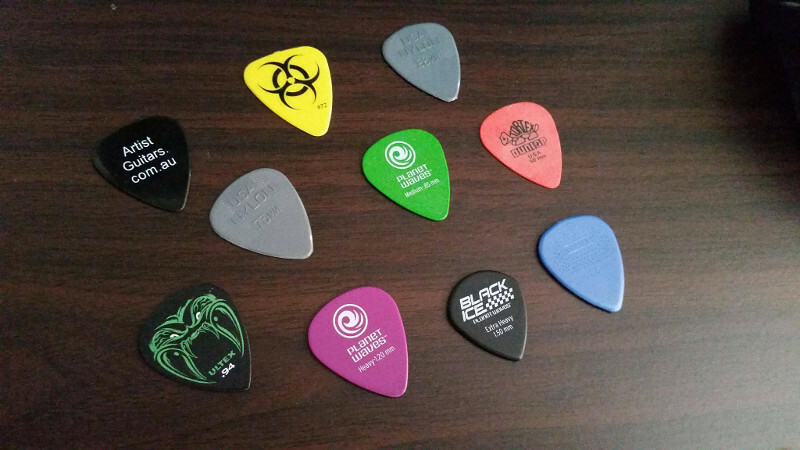 When I started playing, I had a lot of trouble with the standard mid-size .72mm size pick. I initially got some .50mm ones but grew out of them fairly quickly. I’ve currently settled on a 1.5mm Dunlop Nylon Max Grip that lets me do what I want to do easy enough. 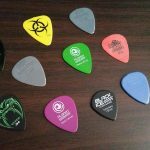 You will find different picks respond differently, some are easier to hold than others. It is going to be very specific to you, so given they’re only about 60 cents or so each, get a large variety and see how you feel with them and then as you get better, what ones work with your style best.